BoxingClever Solutions supplies and installs a full range of aerial and satellite products for residential and commercial properties. 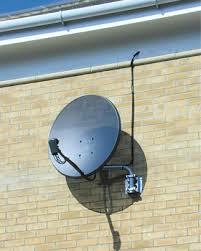 We also install the latest communal digital systems for satellite and terrestrial aerials. These cater for local and global channels,including from Turkey, Greece, Italy, Israel, Poland, Germany and Holland, to name a few. Our expert team have over 30 years' experience in this field so we can be relied on to provide outstanding service.